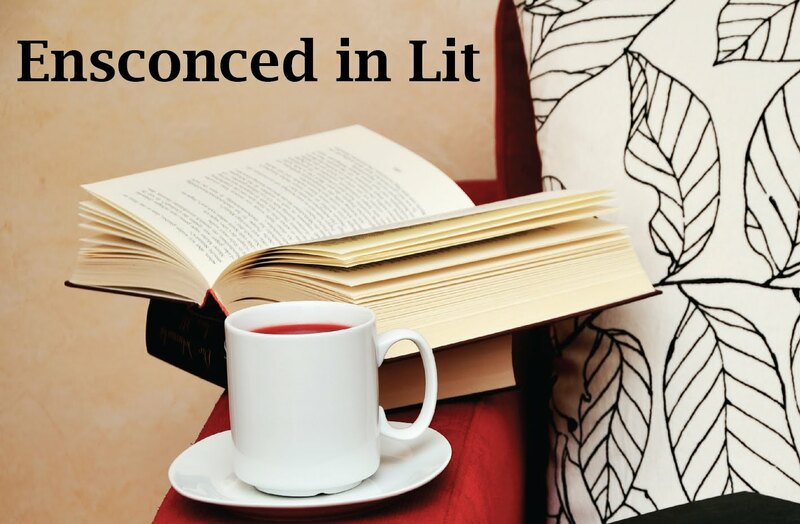 Ensconced in Lit: Winner of Shardwell Prize Pack giveaway and NEW International Giveaway! Winner of Shardwell Prize Pack giveaway and NEW International Giveaway! Congrats to Ruty, Jele, and Caroline for being the winners of the Shardwell Prize Pack! And Will was the winner of the Amazon GC! 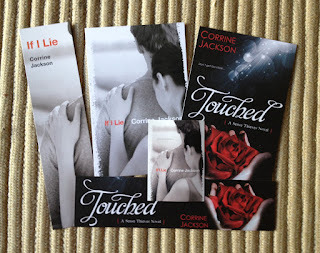 And now, I am so excited to open up a brand new giveaway! 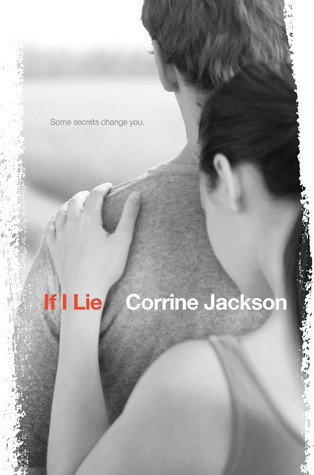 Corrine Jackson, author of IF I LIE, is really one to watch-- her first book is terrific and she's coming out with a paranormal novel TOUCHED very soon! Tune in tomorrow to see the first part of her awesome interview. Goodreads Book description: A powerful debut novel about the gray space between truth and perception. Enter to win a signed copy of this book OR one of the swag packs! I couldn't find the interview so hopefully this will count. Thank you very much for the giveaway!! I remember a neighbor "boy" who went to Vietnam. When he came back, we didn't even recognize him. He had to have his face rebuilt because of a bomb blast. I was only 15 at the time, so didn't realize how terrible it truly was. His life was ruined, he ended up divorced. I think it was one of the most terrible times as a country. The servicemen deserved our respect and admiration, and were treated so horribly. We are so lucky to have people that VOLUNTEER to protect our life and liberty. Thanks for the giveaway and to any service people who happen to read this, my heartfelt thanks are with you and yours. The military serves people and fights FOR our country. They fight and we wait. We hope. They serve. Fight and start wars, mostly over great things. Great military times! I completely respect and admire all the brave soldiers who are fighting for this country and risking their lives on a daily basis. I don't understand why us, 'normal people' don't pay them more respect. I think that they are some of the bravest people on this planet and they deserve a lot more than what they get. Everyday I pray for them and that they will return to the families safe. My dad was in the military. It was very hard growing up with him away all the time. I once asked if he ever had to kill anyone and his reply was "They teach you how to forget that kind of thing". It haunts me. I admire them because their courage and integrity to serve the country. It takes a great mental toughness to be in their line of job. I would love to win If I Lie! We just had a fried of our return from Afghanistan and all I can say is that I'm happy for him because 3 minutes after he stepped off a "mound" a little 12 year old boy blew up one of his team members. My grandpa was in WW2 and he met my grandma through that:) anyway thanks for the interview/ giveaway. I do not have any family or friends in the military currently. I do know that my Grandpa and Grandma used to write each other love letters while he was away at war in WWII. Thanks for the giveaway! I have a very small family so I don't have any family members in the military but My FIL has the biggest heart of any one I know especially when it comes to military. For example, whenever he is out to eat if he sees someone that he can tell is military (in uniform, etc.) he will go up and talk to them thanking them for thier service and hard work and then pay for their entire tables meal! I just love him! Wow, excellent giveaway, would love win signed copy! I have been anxious to read this book. My cousin was in the military. She was the first girl I ever knew who wanted to be a soldier and I was baffled by it at first, but she helped me understand why anyone, including women, would want to serve our country and she became kind of a hero in my eyes. Found the Giveaway in Goodreads Giveaways, when I posted my own! Awesome giveaway, love the cover!